Make 4 interest-free payments fortnightly. 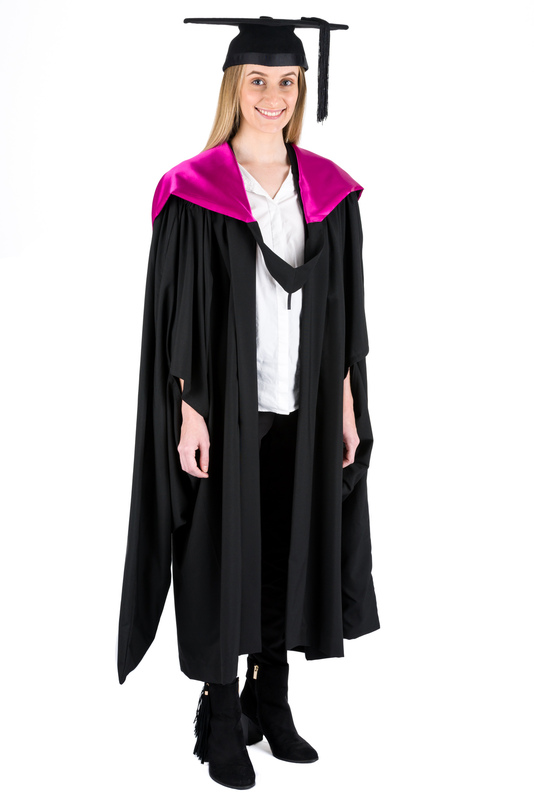 The Bachelor gown is a black gown with long bell-shaped sleeves to the wrists with the forearm seam left open from near the shoulder to approximately 10 centimetres from the wrist. 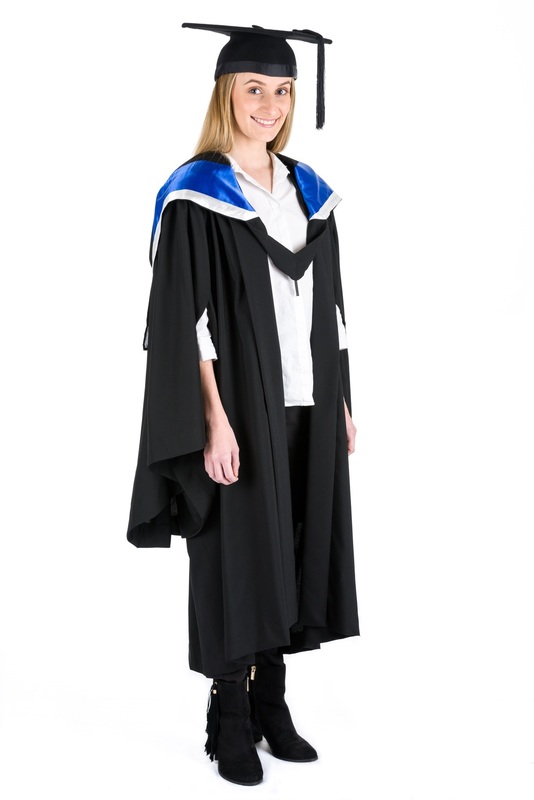 The gown is gathered at the back in a yoke. 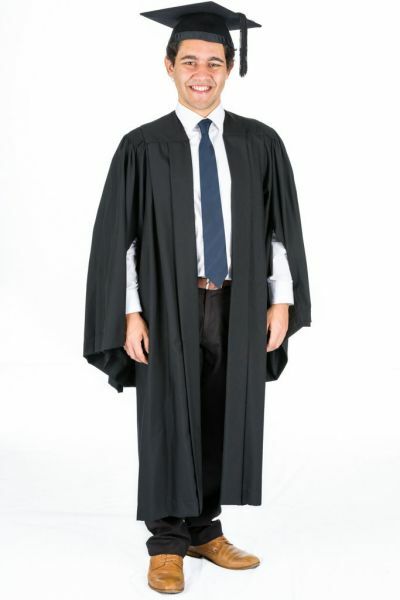 The gown is worn open at the front, as pictured. 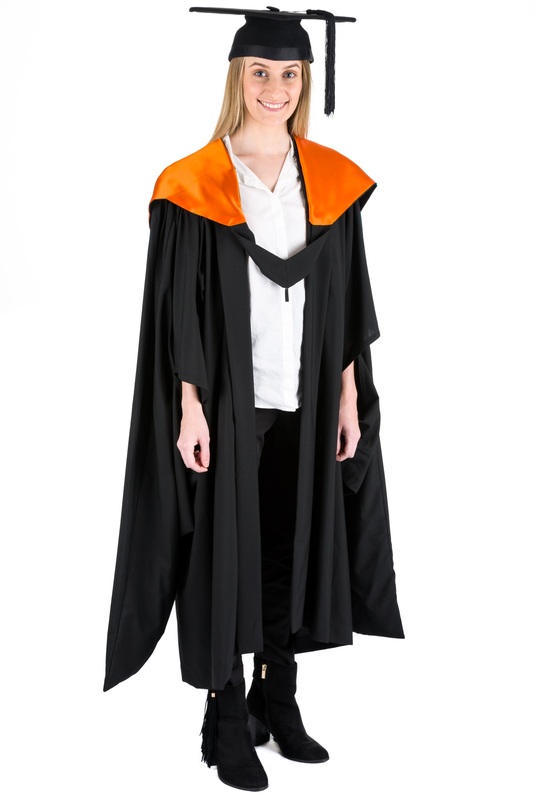 The correct length of an academic gown falls mid-calf, between the knee and the ankle. SIZING: Please choose your your full height in centimetres from the drop down box (head to toe) to order the correct size. 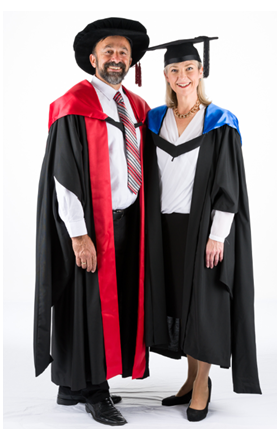 PLEASE NOTE: Mortarboard (headwear) in photograph is not included. This item is sold separately. When you purchase multiple items together, the postage cost will be combined.